It is remarkably easy to test for structural change, of the type that the classic For “Chow” test is designed to detect, in a manner that is robust to heteroskedasticity of possibly unknown form. 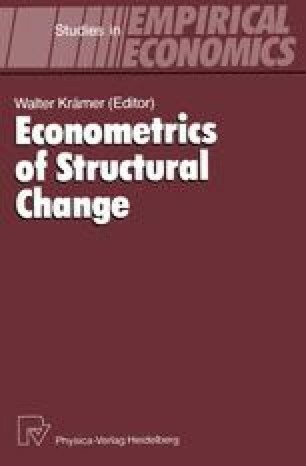 This paper first discusses how to test for structural change in nonlinear regression models by using a variant of the Gauss-Newton regression. It then shows how to make these tests robust to heteroskedasticity of unknown form, and discusses several related procedures for doing so. Finally, it presents the results of a number of Monte Carlo experiments designed to see how well the new tests perform in finite samples. This research was supported, in part, by the Social Sciences and Humanities Research Council of Canada. I am grateful to Allan Gregory and Simon Power for helpful comments on an earlier draft.